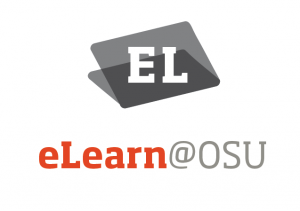 eLearn@OSU is an initiative to review, connect and optimize technologies for teaching and learning at Oregon State University. Our first project is to evaluate and select a Learning Management System (LMS) for OSU. 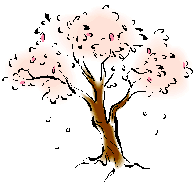 This blog is the place for students, instructors, staff and administrators who want to stay informed about the activities and events taking place in Winter and Spring term 2014 to review our LMS options and provide feedback. 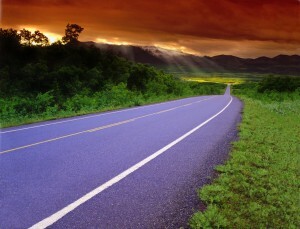 We welcome your questions, and encourage you to subscribe to this blog to get notified of updates. Following a three year period of inquiry, assessment, and collaboration among faculty, students, and administrators to understand the needs of our teaching and learning community, OSU has chosen to replace the current Blackboard learning management system (LMS) with a hosted platform called Canvas. This is a university-wide LMS migration that impacts all modalities of courses taught at Oregon State, including traditional face-to-face, hybrid, and Ecampus online courses. It’s hard to believe, but the LMS evaluation activities are all wrapped up. The LMS core team has summarized survey and focus group results, as well as reports on accessibility, learning outcome analysis, and technical capabilities of Canvas and Blackboard. The next step is for the Instructional IT Governance Committee to weigh all of the evaluation material and recommend a decision for the Provost to review and finalize. We are anticipating announcing a decision in late July, so do stay tuned. Thanks, everyone, for your participation and interest in the LMS evaluation process. Center for Teaching and Learning Spring Teaching Symposium, Thursday May 22 – we’ll have a day-long open lab at CTL’s Spring Teaching Symposium in the MU (Corvallis). Come check out Canvas and Blackboard 14, take a survey, and let us know what’s on your mind. MU 213 from 9 am – 3 pm. Posted in Presentations, Sandbox sites. Want to know what’s coming soon in Blackboard, or get a tour of Canvas? Instructure (Canvas) and Blackboard will offer online demonstrations of their systems on Tuesday May 13 and Wednesday May 14. These demonstrations are a great way to see the systems in action and ask questions (remote participants may enter questions in the webinar chat window). Help – I’m new to Canvas! Open Lab Sessions are available for you to drop in, try out the systems, ask questions and (most important of all) take a survey. Snacks will be provided. 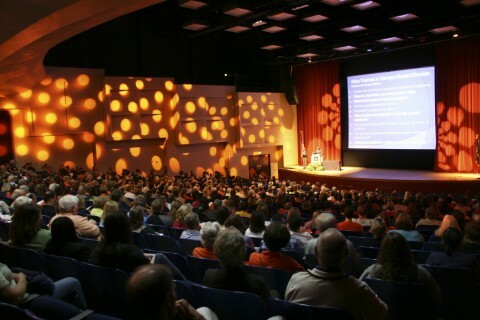 Center for Teaching and Learning event, Thursday May 22 – we’ll have a day-long open lab at CTL’s Spring Teaching Symposium in the MU (Corvallis). Come check out Canvas and Blackboard 14, take a survey, and let us know what’s on your mind. MU 213 from 9 am – 3 pm. Lynn Greenough will provide an overview of the LMS evaluation for OSU’s Faculty Senate on March 13. The overview will include a description of what is happening, why we are taking on the evaluation, how the process works, opportunities to get involved, and how the decision will be made. Faculty Senate meets in LaSells Stewart Center Construction and Engineering Hall 3-5 pm. 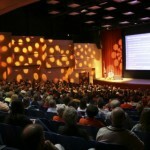 Faculty Senate meetings and forums sponsored by the Faculty Senate will be webcast at http://live.oregonstate.edu/. The webcast will be available a few minutes prior to the scheduled start time. Following the meeting or forum, the webcast will be linked from this site. The Daily Barometer posted an article on Feb. 27 about the LMS Evaluation. You can check it out here. We are recruiting teachers (instructors, faculty, GTAs) to teach classes in the candidate systems. An incentive of $1,000 will be paid to eligible instructors who complete a course in spring term in one of the candidate systems, and whose class participates in evaluation activities at the beginning and end of the term (surveys and a focus group). Support will be available to assist instructors move courses into the sandbox environments and throughout the term. If you are interested in applying to teach a course in a sandbox system please send Lynn Greenough (lynn.greenough@oregonstate.edu) an email with a paragraph that includes the following information. Applications are due to Lynn by end of day Monday, March 10, 2014. · Describe your level of proficiency in using a learning management system (Blackboard or other): high, medium or low (note that proficiency level does not impact likelihood of being selected). · Medium – you post lecture notes, images or videos. May set up menus, or modules for course elements. May add or move gradebook columns. · Heavy – you routinely make use of discussion boards, quizzes, assignments, videos and images. May integrate publisher content, or links to resources outside of the LMS. May use weighted grades or grading schemas. May download and upload grade center data using Excel. 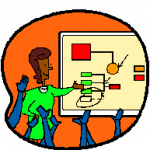 · No more than 16 courses will be selected for teaching in the sandbox sites (8 Blackboard and 8 Canvas). · Technical support will be available to instructors and students to answer questions and resolve issues. Help will also be available to instructors to set course sites up. The tight timeline and sandbox environments may require additional time commitment on the part of participants. If you have any questions about the LMS evaluation or the sandbox selection process, please notify Lynn Greenough. Lynn Greenough on Sandbox Sites! Elnora Palmtag on Sandbox Sites! Blackboard and Canvas Sandbox Sites « Tech’d Out Learning on Sandbox Sites! © 2019 eLearn@OSU, all rights reserved.